Theale Logistics Park offers occupiers a unique opportunity to lease a new high quality logistics unit adjacent to junction 12 of the M4. Works are underway to deliver a self-contained high specification warehouse unit with a large secure yard. The unit has planning permission for B1(c), B2 and B8 uses.  Theale Logistics Park is situated at Junction 12 of the M4, with excellent road access to the M4, M40, M25 and A34. Theale is 45 miles west of central London and only 31 miles from Heathrow Airport. The development is situated in a prominent position at the junction of Brunel Road and Waterside Drive. A few minutes walk away, Theale train station provides direct services to Reading, London Paddington and the West. Theale High Street offers a range of local amenities.